Created by Derry and colleagues , the 11-item FLEP scale is designed to aid clinicians in distinguishing frontal lobe seizures from parasomnias. While polysomnography is considered the gold standard approach for differentiating the two conditions, scale developers cite the need for an efficient, cost-effective alternative for those who, for whatever reason, do not have access to sleep clinic facilities. 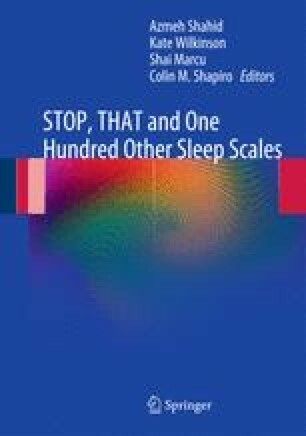 In order to distinguish nocturnal events caused by epilepsy from those related to parasomnias, the scale queries several factors, including: age of onset and event duration, frequency, timing, symptoms, stereotypy, and recall.